If you’re considering getting an electric car, then you’re going to need an electric car charging point at home. We expect to see the majority of electric car charging to be carried out at home, as it is most convenient, with smaller top-ups at workplace charge stations and public charging stations. There are a number of things you will want to consider when choosing an ev charging point, which we explain below. Joju are not tied to any particular manufacturer and we offer a range of products to suit everyone’s needs. 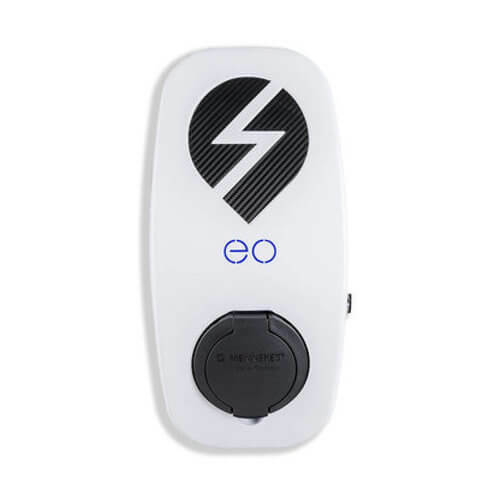 Our entry level chargepoint is the eOLEV home charger, made by British manufacturer, EO. 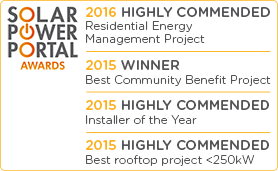 It is available as a 3.6kW or 7 kW version, with an optional tethered cable. Our smart charging option is the NewMotion charger, and are available as 3.6kW and 7.2kW units. NewMotion units come with a smart interface allowing you to see chargepoint usage and cost data on a portal. The new Automated and Electric Vehicles Bill will require chargers to have smart functionality in order to access OLEV grants. As well as the portal, other smart features include: RFID (charge card) access for extra security (or to charge your neighbours to charge), and billing your fuel costs directly to your employer. Our third chargepoint offering is a little different! The Zappi charger diverts excess solar energy from PV roofs directly into the battery of your car, allowing you to fill your tank with sunshine! We’ve blogged in more detail about the Zappi here. 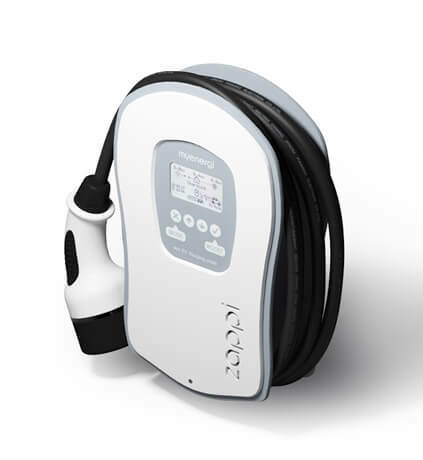 The Zappi has 3 modes – Eco+ (solar charging), Eco (Standard 3.6kW slow charge) and Fast (7kw fast charge), and you simply choose how to charge when you plug in. The first thing you’ll need to decide is how fast you want your car to charge. A standard charger provides 3.6kW of power and takes 6-8 hours to fully charge most models of car. This typically implies charging overnight. A fast charger can provide 7kW of power and will fully recharge most models of car in 3-4 hours. If you have 3-phase electricity at your property, a fast charger can deliver 22kW of power and charge your car in under 2 hours. As well as the charger itself, you will need to consider whether to get a tethered or an untethered charger. 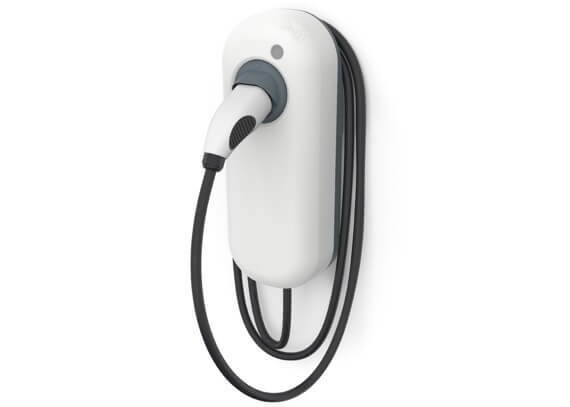 A tethered ev home charger has the charging cable integrated into the chargepoint itself. By contrast, an untethered cable is loose at both ends and is usually stored within the car and can also be used for charging when out and about. It is also important to ensure you have the right cable to fit your car. The majority of car sockets are either Type 1 or Type 2. Type 1 is a 5 pin socket capable of charging single phase at 3.6 or 7 kW. Type 2 is a 7 pin socket and can be used to charge at 3.6, 7 or 22kW (3-phase). If you tell us what car you own, we can help make sure you get the right cable. If you would like to learn more about our chargers, download our EV brochure for more information and costs. If you are ready to purchase your chargepoint please go straight to our survey form. This takes just 10 minutes and checks your electrics are suitable for your chosen EV charger. We will need you to submit some photos so recommend you use a mobile phone. Grants of up to £500 are available for the installation of electric car chargers at home, but you must use an OLEV (Office for Low Emission Vehicles) approved installer. Joju are OLEV approved to install eo, NewMotion and Zappi chargers. In order to be eligible for the grant you will need off street parking – for a wall mounted chargepoint in a garage or as a post system by the driveway. Run your car on sunshine with the Zappi charger. See how Government policy is looking to replace diesel and petrol vehicles by 2040.